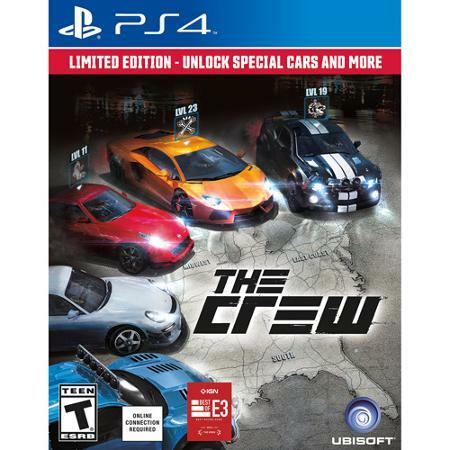 With exploration, customization, and a wide, connected experience, The Crew redefines what you know about driving games and takes you on a relentless ride all throughout the United States. Seamlessly jump in and out of a massive network of fellow drivers, and build your crew of friends to take on heart-stopping missions throughout metropolitans and natural environments all across America. Customization is the key to success, though, and an extensive tuning system will prepare your ride for any terrain that lies ahead of you. Drive fast, drive everywhere, but… NEVER DRIVE ALONE. Limited Edition Early Unlocks – Order today to receive early unlocks for the BMW Z4, Dodge Ram SRT 10, and Mini Cooper S – all with their own sets of custom and performance parts. The Limited Edition also includes 10,000 bonus Crew Credits. Never Drive Alone – Jump in and out seamlessly and build your crew of four through bonding or intense rivalry. A Playground of Unprecedented Scope and Variety – The entire United States is your driving playground – all the roads coast-to-coast and everything in between. Prepare for the Next Job – An extensive tuning system combining depth and simplicity allows you customize your licensed cars according to your style and driving preferences. From Bungie, the creators of Halo, and Activision, the publisher of Call of Duty, comes Destiny, the next evolution in interactive entertainment and an epic adventure unlike anything players have experienced. In Destiny you are a Guardian of the last city on Earth, able to wield incredible power. Explore the ancient ruins of our solar system, from the red dunes of Mars to the lush jungles of Venus. Defeat Earth's enemies. Discover all that we have lost. Become legend. Destiny delivers a new way to experience first-person action games. 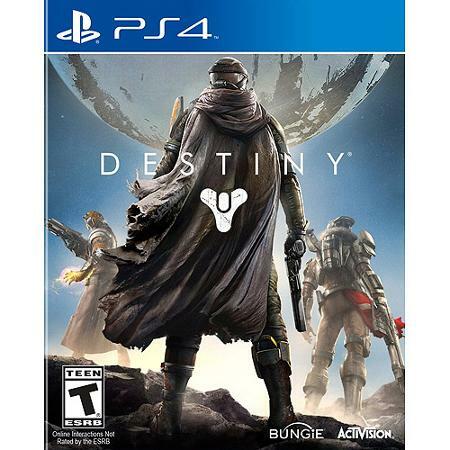 A sweeping adventure set within a bold, new universe, Destiny features an unprecedented combination of cooperative, competitive, public, and personal activities seamlessly woven into an expansive, persistent online world. 500 GB of storage. 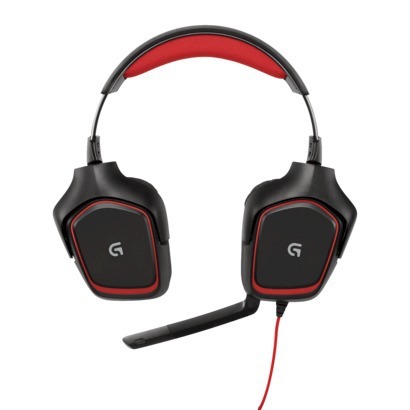 Powerful Processing and Impressive Graphics. 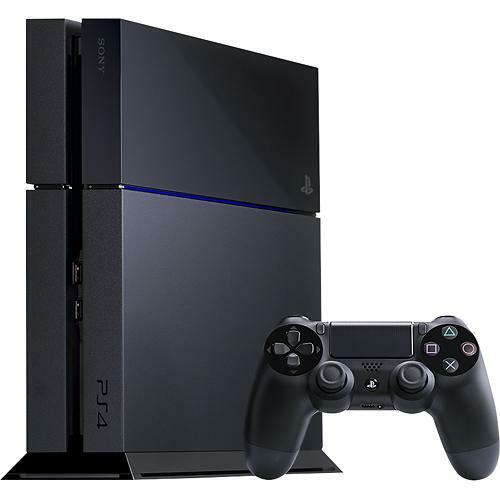 The DualShock 4's Share button allows you to stream gameplay footage directly to Ustream or Twitch.tv, or edit videos and share them across social networks including Facebook and Twitter. Blu-ray Compatible. Sanctuary is a place of peace and safety, but you know this hasn't always been the case. Two decades ago the Prime Evils plagued your world, but thanks to the tireless combat waged by the Barbarians, Demon Hunters, Monks, Witch Doctors and Wizards their reign of terror came to an end. Now whispers are circulating in the city of Tristram, the place where it all began, and rumor has it that a new menace is coming. Heroes must rise to the call of battle once more and defend Sanctuary against the demon hordes. Raise your weapon, sharpen your skills and join the quest — before it's too late. 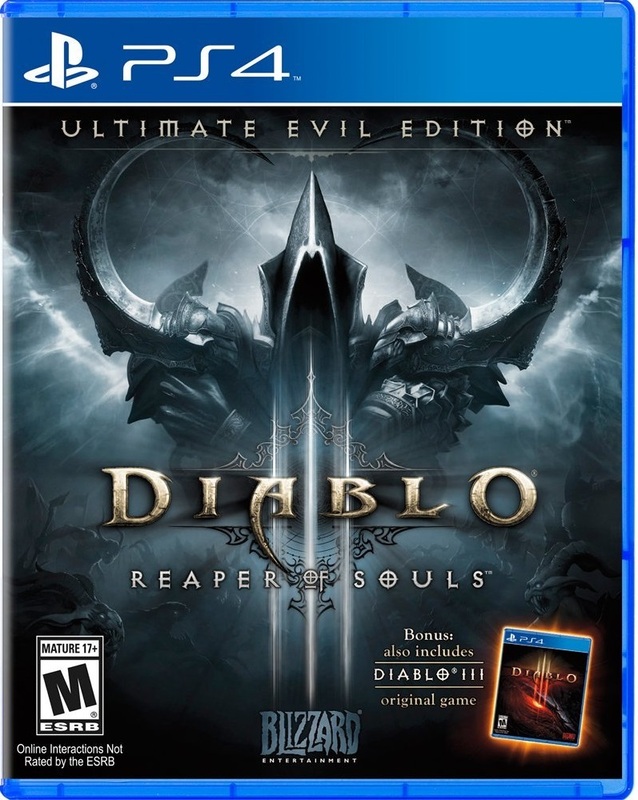 Return to the world of Sanctuary to wage war against the forces of evil in this action-packed Ultimate Evil Edition, which combines the thrilling Diablo III with the critically acclaimed Reaper of Souls expansion pack. Choose your identity from one of the five original customizable classes, including Barbarian, Demon Hunter, Monk, Witch Doctor and Wizard, or select the all-new Crusader class that lets you don fortified armor and rain down holy vengeance on the powers of darkness. Jump into the action of Reaper of Souls when you set out on an epic quest through frightening and awe-inspiring landscapes where peril lurks around every corner on the journey to the legendary city of Westmarch. Decimate demonic foes in fast-paced combat as you fight your way to the ultimate opponent — Malthael, the Angel of Death, a terrifying enemy bent on the ultimate destruction of the innocent denizens of Sanctuary. Feel the freedom of an expansive open world with Adventure mode, which lets you unleash your powers anywhere at any time as you strike down any demon foolish enough to cross your path. Track down the elder evil in randomized objectives that allow you to explore Sanctuary in new ways and earn bounties. Descend into the depths of fully randomized dungeons with Nephalem Rifts that deliver hours of replayability and tons of loot. Quest with advanced players and boost your stats with Apprentice mode. Personalize your loot by seeking out The Mystic, a mysterious artisan who takes your gear to the next level. Fight alone or with friends in four-player same-screen mode or online multiplayer mode. Receive the Infernal Pauldrons with pre-order — exclusive transmogrifiable shoulder plates honed to a deadly sharpness that are wearable in level one and provide enhanced health, life regeneration and cooldown reduction. Your might is needed to defend Sanctuary from the malevolent drive of a demon army — it's time to shoulder your weapon and leap into the fray once again.